The kitchen is the hub of the house. We challenge you to go wild and experiment with colour says style director Louise Hilsz. Create an inviting, feminine look with soft pastels. Renovation tip: Spend money on good quality cupboards as these make or break your kitchen. If the cupboards are not good quality, nothing you add into the kitchen will ever look good. Invest in a good looking countertop, go marble or wood as this is he focal point of your kitchen. Buy the best quality appliances you can afford, it’s a simple fact that the better the appliance the longer it lasts, and don't compromise your kitchen style with a low-cost fridge or stove these are an investments in any well-appointed kitchen. Resene Clam Shell, Beauty Bush, Cascade and Acapulco paint available from Resene ColorShops. Clash this unexpected combo of bright yellow and moody grey. Styling tip: Style your kitchen with statement pieces, such as large fashionable lights, mix old and new rather than updating your whole room. For example, an old wooden floor makes a kitchen feel like a home rather than a show house. Natural stone, organic basalt tiles, and rattan furniture is making a big comeback in interior styles and these are textures that work really well in a kitchen. 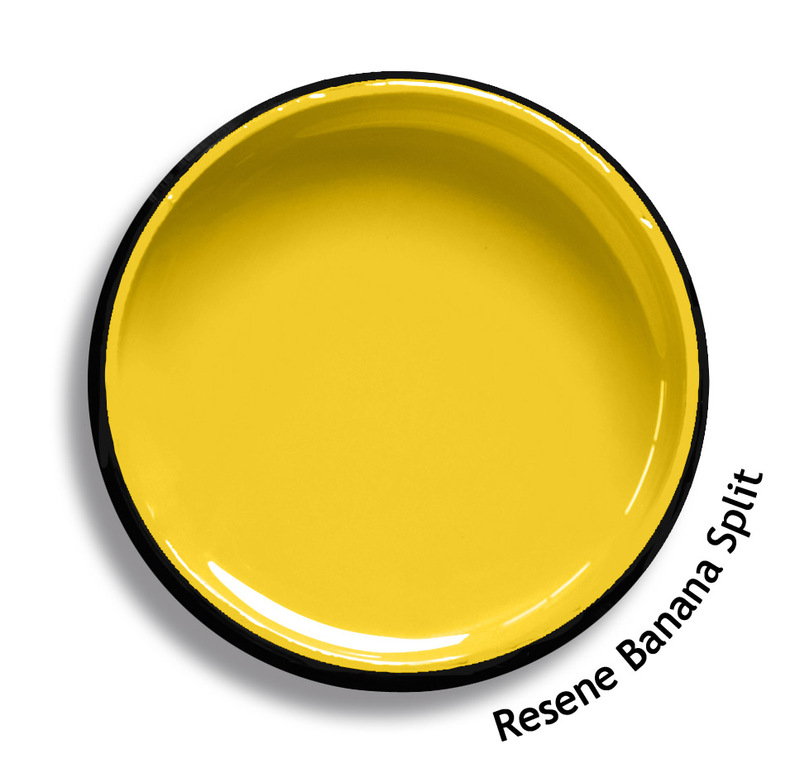 Resene Ajay, Alto, Bite Me and Banana Split paint available from Resene ColorShops. Keep it classic with masculine blue. Paint tip: Stark white kitchens are out and colour is in. Even if it's just one element of your kitchen where you choose an accent colour. From paint to patterned blinds or powdered coated pops of colour in furniture. Finishes such as mirrored backsplashes with highly-polished marble worktops, or cupboards add instant glamour to the hub of your home. 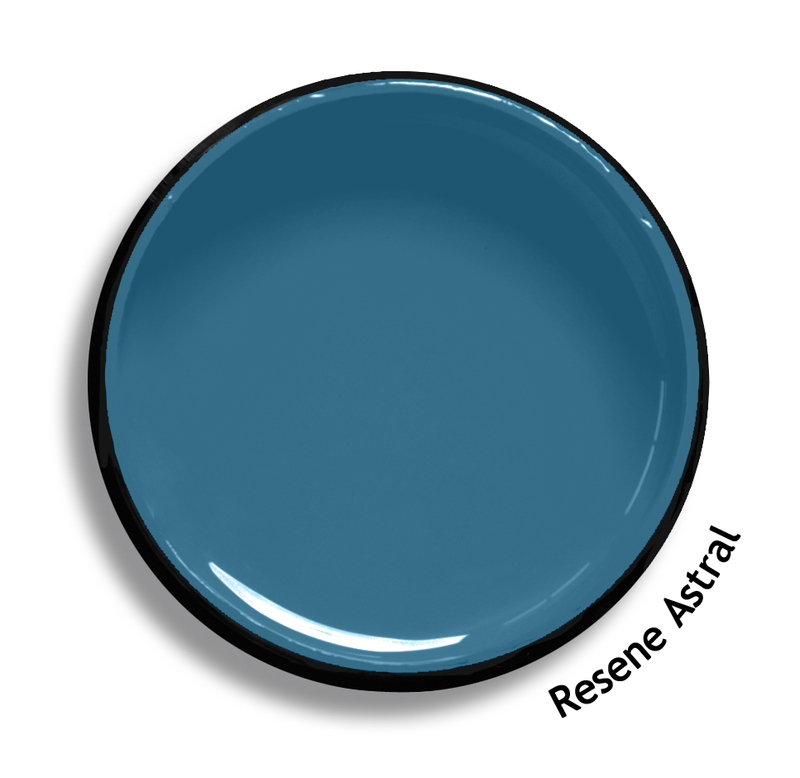 Resene Azure, A B Sea, Astronaut and Avalanche paint available from Resene ColorShops. Use muted hues to create that on trend seventies vibe in you your kitchen. Design tip: Inspired by hotels and shops, forgoing minimalism and concealed cupboards, open shelving is on trend, but remember those shelves need to be styled with elegant crockery and vintage-inspired glassware. Pick paint colours carefully, make sure it's warm shade as this is the one room in the home you will spend lots of time in. Pewter and gunmetal are on trend in tapware and work well with open shelving. Resene Good Morning, Chilean Fire, Grenadier and Astral paint available from Resene ColorShops. Pick one pretty colour and let it shine. Building tip: Wood is not only durable, increasingly we are seeking connections with nature in our homes. Wood instantly creates a welcoming and calming environment, and it's a timeless finish that adds light and softness underfoot in any kitchen or dining space. Resene Aero Blue, Aqua, Ashanti and Bounce paint available from Resene ColorShops.